How exactly do you measure a man’s worth? Is it by his successes? If so, everyone looks great when they are succeeding. But, it’s what happens whenever a person has tasted success, fails, and then gets back up that shows the true character of that man. Some people aren’t able to come back once they have failed. 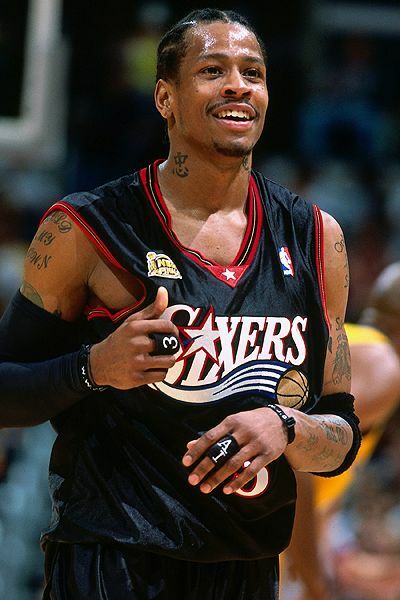 Allen Iverson could have been a great redemption story. Here was a man who had tasted nothing but success since coming into the league. A man whose Frank Sinatra-like demeanor (“I did it my way”) garnered him many fans and many enemies, many of whom were in the league’s front office. A man whose ego eventually surpassed his usefulness to the point that NBA teams basically shut him out of the league. His is an example of a person who could not adapt to the slightest bit of failure. One of the worst things in sports is to be labeled a bust. It is the apex of failure. There are two ways to be labeled a bust: either you were a high draft pick that didn’t live up to your expected potential or you were signed to a big contract that you could never live up to. Once given this label, it’s very difficult for a player to shake it off. Regardless of whether the player is injured or not, fan forgiveness is not usually a word related to the bust label. Just ask Greg Oden. Sometimes, though, a player is either too oblivious or too hard-headed to care about the bust label and continues to truck on. Hasheem Thabeet is one of those players. A player, who by all accounts and purposes, should have just said, “Forget this (alternate words, of course)”, and taken his millions and retired on an island. With all the criticism and embarrassment that was heaped onto him in his first 3 seasons in the league, it would have been easy to walk away with whatever money he had in hand and move on to the next phase of his life. But that just isn’t Thabeet’s style. Here’s a man who, at the age of 14, lost his father to diabetes and decided at that point that he had to become the man of the house. To assert himself into manhood, Thabeet decided to drop his father’s last name of Manka, and instead use his middle name as his last name. Mind you, this was not a move to forget his father or his past. Instead, it was a symbolic gesture towards a new start. 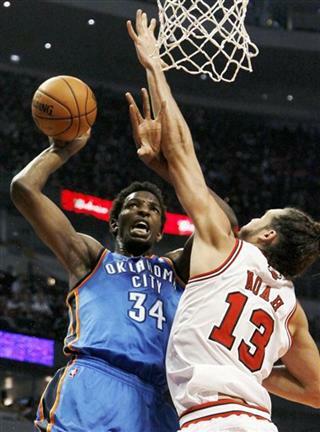 One that Thabeet could have never imagined would turn out the way it has. One of Thabeet’s first decisions as the man of the house was to quit school and get a job. For about a year, Thabeet worked odd jobs as a model and as a bouncer at a club. With his imposing height, he could definitely look the part of a mean bouncer, but Thabeet never took part in the fights. He was too afraid to. His mother eventually convinced him to go back to school to continue his education. It was in this second go-around in school that a coach coaxed him into playing basketball. It was only a matter of time before Thabeet’s tall frame and go-go gadget arms were introduced to the game where those attributes are strengths. At first hesitant, he eventually adapted to the game and began to flourish. The road to the NBA is not always a linear path. When you think of basketball hotbeds in Africa, you think of countries like Angola, Zaire, and Congo. You definitely don’t think of a country like Tanzania where soccer reigns supreme. Thabeet took the proactive approach and began filling out applications for every university he could find via Google. Eventually, his talents took him to a prep school in Nairobi, Kenya, where French businessman Oliver Noah took notice of Thabeet and asked to send the kid to the US for further prepping. 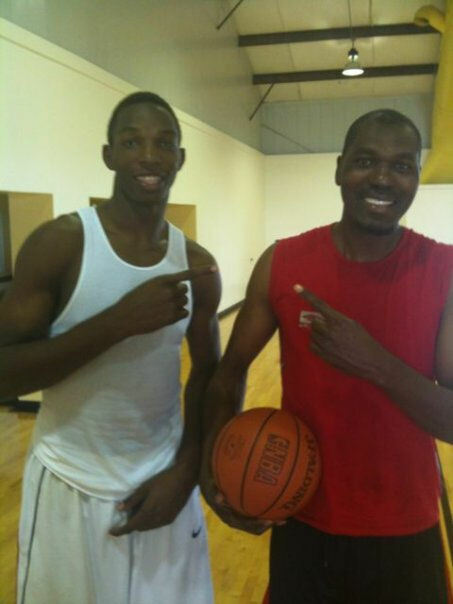 Thabeet’s mother obliged and he was on his way to the USA to attend high school. Of course, not everything went as planned, as it is sometimes difficult to compare African school standards to American school standards. Transcript issues arose, and what should have been one stop in Los Angeles, turned into stops in Picayune, Mississippi and Houston, Texas. After graduating from Cypress Christian School in Houston, Thabeet made his way to Storrs to attend the University of Connecticut. For the first time in five years, Thabeet finally had some semblance of stability. He could finally be what he really was: a 19 year old freshman. He flourished under Jim Calhoun’s tutelage, becoming a dominant force on the defensive end, while holding his own on the offensive end. Thabeet went on to win 2 consecutive Big East Defensive Player of the Year awards, and shared the Big East Player of the Year award in his junior season with Pittsburgh’s Dejuan Blair. Needless to say, expectations were definitely high when Thabeet declared for the 2009 NBA Draft. Names like Dikembe Mutombo and Samuel Dalembert were being tossed around as comparisons. The consensus was that Thabeet would be great defensively, but would need time to develop offensively. As is the standard with most big men, Thabeet was considered to be a high risk, high reward project that would need a lot of development. The funny thing about expectations is that it’s a two way street. On one hand you have the player, of whom the results are expected from. On the other hand, you have the basketball mind (usually a front office personnel or scout) that acknowledges that the skills seen in the lower level of basketball will translate to the highest level of basketball. In this case, it was former Memphis Grizzlies GM Chris Wallace who selected the center with the No.2 pick in the draft. Usually, when a team drafts that high, they are looking for an impact player at a position of need. But the Grizzlies already had two young centers that they were developing in Marc Gasol and Hamed Haddadi. The leash was short in Memphis and when Thabeet struggled to adjust to the speed of the game, he was sent to the D-League, earning the dubious record of being the highest draft pick ever sent down. The next season, Thabeet battled with Haddadi for back up minutes throughout the season. At the trading deadline, Thabeet was traded to Houston Rockets for Shane Battier. In Houston, Thabeet only appeared in 2 games for the Rockets, spending most of the rest of the season in the D-League. In the next season, Hasheem was once again dealt at the trading deadline, this time to the Portland Trailblazers. At the end of the season, the Blazers chose not to pick up Thabeet’s 4th year rookie option, and the center became an unrestricted free agent. There had been rumors that Oklahoma City Thunder GM Sam Presti was very intrigued with the possibility of drafting Thabeet with the No.3 pick in the 2009 draft. 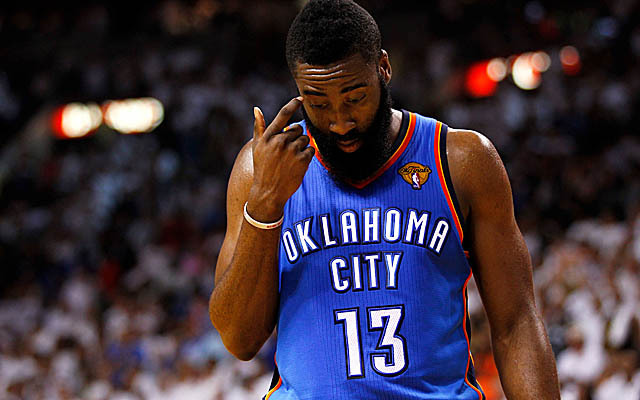 As we know, that opportunity never materialized and the Thunder selected James Harden, instead. There were also rumors that Presti had tried to pull off a couple trading deadline deals to obtain Thabeet, but those, again, never materialized. So when Thabeet became an unrestricted free agent this past offseason, Presti pounced on the opportunity to sign the center for the league minimum. Not unlike a young quarterback who has struggled through numerous coaching and system changes, Thabeet was never allowed to develop in one system for any amount of time. Instead, he has been shuffled from one team to another in his first 3 seasons and never was able to develop his game or his confidence. His move to OKC probably feels like his move to Storrs, Connecticut seven years ago. A sense of stability is coming and Thabeet is just now scratching the surface of his potential. On this team, he doesn’t need to be Dikembe Mutombo or Hakeem Olajuwon. He just needs to be Hasheem. I don’t remember who the tweet was from. But it piqued my curiosity and I clicked on the hash tag. I thought it was going to be a person that was surprised Harden had turned down a 4 year/ $52 million dollar contract extension. Instead, to my complete and utter surprise/horror, I started seeing the all the tweets about Harden being traded to the Houston Rockets for Kevin Martin and Jeremy Lamb. The “Whhhhaaaatttttt???!! !” I let out startled my wife into rushing out of the kitchen to see what the hell was going on. The rest of the OU game was a blur to me after that. I went into Twitter frenzy mode and didn’t stop until after midnight. Once the shock and awe of it wore off (which most of it hasn’t), I was able to process the trade and evaluate it. My first option would have been to keep the Thunder nucleus together. But if you are going to trade Harden, this was probably the perfect batch of expiring contract, promising rookie, and draft picks galore. Let’s start with the big name from Houston: Kevin Martin. If you are going to find a substitute teacher for Harden, Martin is probably the best one year prospect available. An effective scorer who has averaged 18.4 points per game for his career, with a great mid-range game and an effective 3-point shot (38%). Someone who goes to the free throw line 6.6 times per game for his career. Defensively, Martin may not be as big as Harden, but it isn’t like Harden was in line for the All-Defense team, either. Both are sieves on the perimeter, but Harden is able to bang with bigger bodies like Kobe Bryant and Stephen Jackson. The one thing Harden really has on Martin is his play-making ability. If the Thunder plan on bringing Martin off the bench, this plays out perfectly for them. 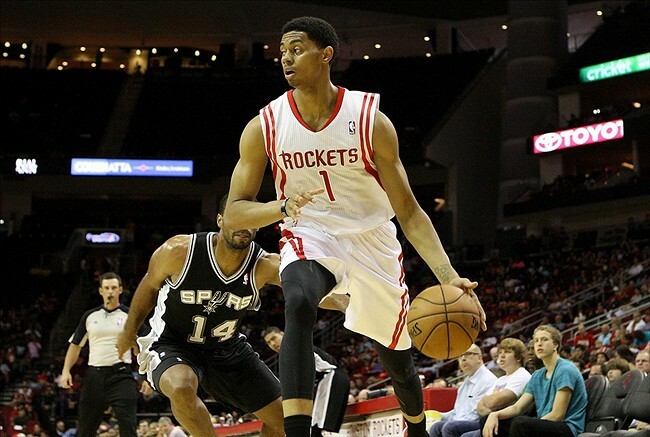 With Eric Maynor back, Martin won’t need to take Harden’s place as a play-maker on the second team. Martin could be the gunner off the bench and the Thunder could use him in late game situations if offense is needed. For all the talk about Martin being a selfish player, he has never played with players of the caliber of Kevin Durant, Russell Westbrook, and Serge Ibaka. The focus will be off Martin and he can do what he does best, which is score from the perimeter and get to the line. The second, lesser known name in the trade was rookie Jeremy Lamb. This, in my opinion, will determine whether this trade will be viewed as a success or a failure. Lamb has the skill set and potential to be that dual threat shooting guard that the Thunder have been coveting in their championship run. Someone, potentially, with the length, athleticism, and defensive ability of Thabo Sefolosha, but also with the scoring and shooting ability of James Harden. Jeremy Lamb could prove to be that kind of player. With Martin in the mix for at least one season, Lamb can sit and learn this season without the pressure of being a starter. The draft picks were probably what sealed the deal on this trade. Getting a good veteran with an expiring contract like Martin, and a rookie dripping with potential, like Lamb are things that many teams could have offered. But not many teams could have offered that and a slew of draft picks like Houston could. The Thunder, as weird as this sounds, are a championship contending team that got younger and obtained great assets. The Toronto pick will be a great trade chip going forward, as the Raptors are not expected to improve much from where they were last season. The 2nd round pick from Charlotte will also be valuable as it will probably be one of the first few picks from the 2nd round. According to sources, the final offer the Thunder made to Harden was in the 4 years / $55.5 million dollar range. Harden will probably end up signing with Houston for 4 years / $60 million dollars. You mean to tell me the difference between a potential dynasty with an established core, and completely blowing up a team 5 days before its season opener is $4.5 million dollars. That difference amounts to $1.125 million per season. The ownership group, which has made a commitment to all of its core players, could not come up with $4.5 million dollars more? 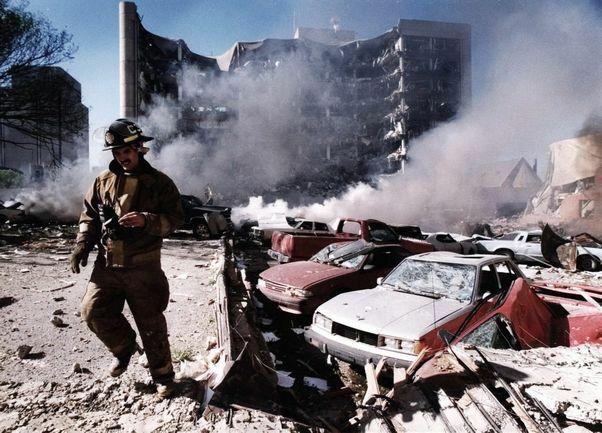 This group of multi-millionaires and billionaires were panicking over an extra $1.125 million per year. Don’t get me wrong, though. I understand it is their money and not mines. But, keeping this core intact for at least another 4 years would almost certainly guarantee runs to the Western Conference Finals and NBA Finals in that allotted time. Those extra games means about $20-40 million dollars extra in profit for the ownership group. You can talk about cap flexibility and assets until you are blue in the face, but when you have the potential to win championships in the here and now, AND you’re making money, you take those chances. The scariest part about this trade is that a championship contending team was blown up less than a week before the start of the season when it didn’t need to be. We just went through 7 preseason games with our normal core intact, and now we only have 4 days worth of practice time to integrate 2, and possibly more, pieces to our team. When, in the minds of the front office personnel, did they say, “You know, this sounds like a great idea.” While the linchpin of this trade may have been Harden, Cole Aldrich may prove to be a big loss for the Thunder. He seemed ready to assume the role of back up center, getting 2 double-doubles in the preseason. 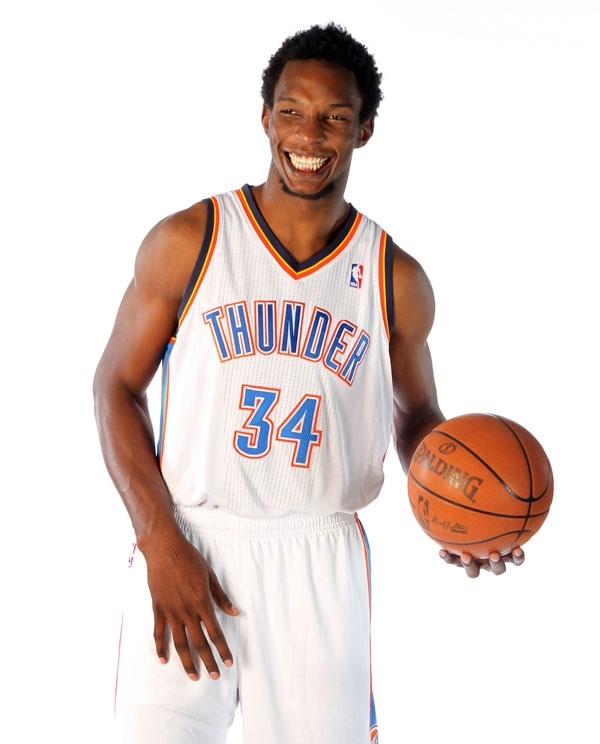 Now, we are heading into the season with Hasheem Thabeet as our backup center. Granted, Nick Collison, Serge Ibaka, and possibly, Perry Jones III can all play the 5 in a pinch. But in a future playoff series against the Memphis Grizzlies, Los Angeles Clippers, or Los Angeles Lakers, having an inexperienced and oft maligned center as a back up could prove to be detrimental. Can someone tell me why the hell we had a lockout last season? All I heard during the lockout was about the percentage of the revenue that the players got and how salaries had gotten out of hand. Some even tabbed it as the “Rashard Lewis” lockout, with Lewis being the best example of a 2nd or 3rd tier player that received a max extension, thus limiting the cap flexibility of that team for up to 5 seasons. Basically, it was a lockout to keep the owners from actually overspending their profitabilities. So, then, why are teams paying players like Eric Gordon, Roy Hibbert, and James Harden max extension money. I thought max money was for top 10 players like Lebron James, Kobe Bryant, and Kevin Durant. Instead teams are throwing around stupid money for 2nd tier players. There’s 5 years left until the owners and players can revisit the CBA, and believe me, it will be revisited again, and this time, I fear, with dire consequences. WWJD – What would James do? Do you know who I’m not mad at for this trade? 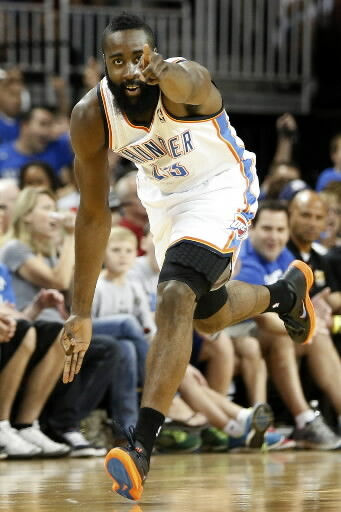 James Harden. 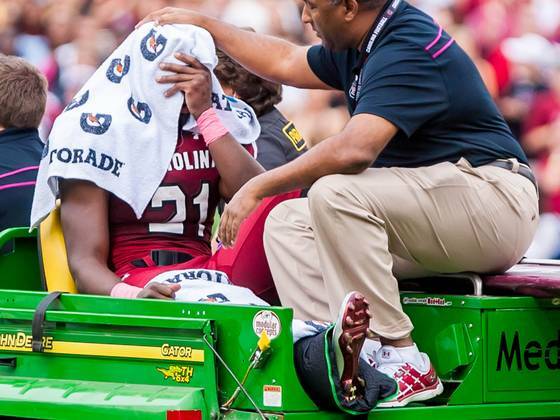 Before the OU game on Saturday, I spent the whole afternoon thinking about University of South Carolina running back Marcus Lattimore, who had just suffered a gruesome right knee injury. If you haven’t seen it, just think of Shaun Livingston’s knee injury from 5 years ago. Reports are coming out that Lattimore tore a couple ligaments and completely dislocated his kneecap. To make matters worse for Lattimore, he was coming back from a torn ACL in his left knee suffered the previous season. If Lattimore was a stock and NFL teams were the buyers, he would currently be considered a toxic asset. In a profession where your best years are in your mid to late 20’s, your earning potential is contingent on 5-7 years of performance and luck. If you suffer an injury or get involved in a legal scandal, your earning potential will go down. You, as an athlete, cannot dictate what the market will pay for you. If the market wants to pay you max money, then that’s what they pay. If they want to pay you veteran minimum money, then that is what you will get paid. I don’t blame Harden for taking what the market gives him. As I wrote in my Pippen/Westbrook column, Pippen consistently took less than his market value to keep the core of the Bulls team together. Where did that leave him? Broke (most of it his fault, but still) and bitter. Harden could have taken a couple million less than what the market had placed his value at, but why. While we like to moralize athletics into this great teaching tool where you sacrifice for the greater good, at the end of the day, its a business. If a player can’t perform anymore, the owner is going to let that player go and move onto the next able body. It’s a business and a player would be a fool to leave money on the table. I’m the Oklahoma City Thunder blogger for the blogging network called Hoops Talk Nation through the website www.thebreakdownshow.com. I currently blog on there for free. But if ESPN, YahooSports, or CBSSports ever called to offer me a spot on their blogging network for cash, I would take it in a heart beat. While I love the opportunity that Audley Stephenson and Dave Mendonca have afforded me, I wouldn’t be able to turn down the possibility of blogging AND earning cash to do it. Regardless of how I fancy myself as a blog writer, I would never turn down the opportunity to move up on the pay scale. Being a fan is an emotional experience. When you mix emotion and money, you don’t make sound decisions. So, if you take the emotion out of the equation, you’d realize that James Harden did the same thing you and I would’ve done, which is to never leave 7.5% of a raise on the table. Well, what’s done is done. The NBA is not going to step in and rescind this trade, as Harden does not suffer from any pre-existing toe injuries or heart ailments. He is a Houston Rocket. And so are Daequan Cook, Cole Aldrich, and Lazar Hayward. We cannot worry about them anymore. What we do have are two unique players and 2 roster spots to fill. 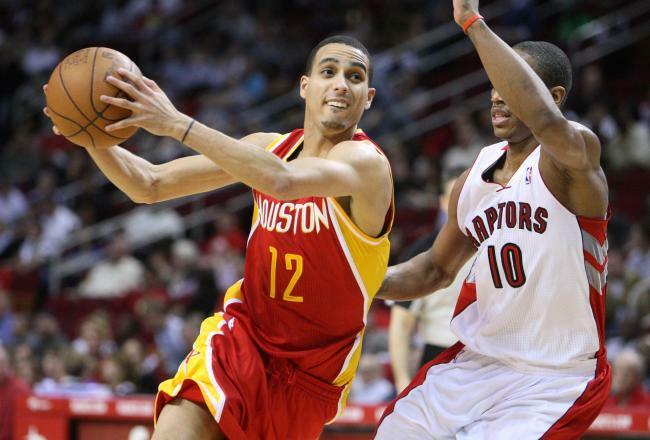 I think Kevin Martin will slide in seamlessly into Harden’s role off the bench. His efficient scoring and knack for getting to the line will have Thunder fans wondering whether James Harden shaved his beard, lost some weight, and slightly bleached his skin. The real prize in this trade could be Jeremy Lamb. If, in an alternate basketball universe, the basketball DNAs of James Harden and Thabo Sefolosha were interwoven, the result could be a player like Lamb. A 6’5” shooting guard with a 7’0 wing span and the ability to knock down long jumpers and play in transition. If you thought the Thunder were good with the Sefolosha/Harden SG platoon, imagine if only one player supplied most of those needs. There’s still a lot of development that needs to take place, but the skill set is already in place. The open roster spots are a different story. The Thunder not only traded their 6th man of the year, but also their back up center, their designated 3-point specialist, and their designated end of the bench guy. While Hayward won’t be that difficult to replace, Aldrich and Cook could. I fully expect the Thunder to sign Daniel Orton to a minimum deal to compete with Hasheem Thabeet for back-up center minutes. The final roster spot is a bit of a mystery, though. Before training camp started, the Thunder signed Georgetown sharp shooter Hollis Thompson to a non-guaranteed 3 year contract. 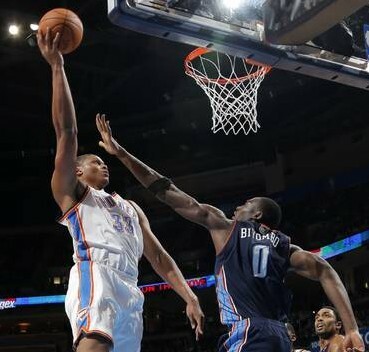 After playing in only 2 preseason games, he was one of the final roster cuts by the Thunder. They could sign him as a future replacement for Cook. Or, they could leave that roster spot open for future options, such as taking on a salary in a trade, or signing a veteran free agent (Derek Fisher, anyone?). As for the core players, I’m curious to see how Nick Collison will react. He and Harden had one of the top 5 pick and roll combos in the league. Collison is one of the consummate professionals in the league and will be fine no matter what situation he is placed in. I think the onus of this transition will fall mainly on Russell Westbrook. If Westbrook continues to be consistent, as he was this preseason, then the Thunder should be fine. But if there was one player that helped Russell when he got into Honey Badger mode, it was Harden. 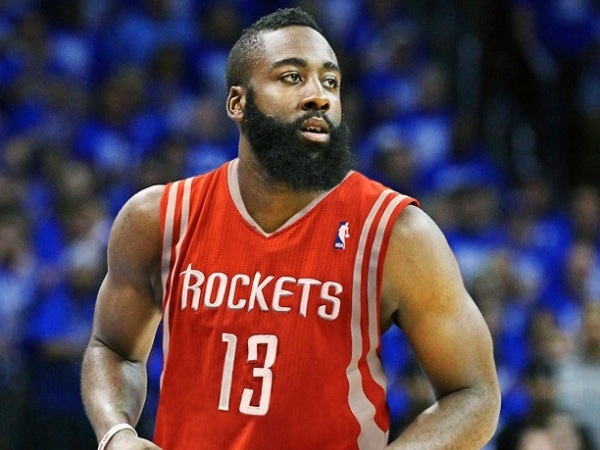 Harden would take over the point guard duties and become the primary play-maker, especially at the end of games. That role now falls primarily in the hands of Westbrook, and to a lesser extent, Eric Maynor. While Maynor could fill the role of play-maker at the end of games, no defense will respect Maynor’s ability to drive and draw fouls like they did Harden’s. Martin could always be inserted at the end of games, but his play-making ability may be less than Westbrook’s. How does this change affect the Thunder? They have never had to deal with a core-rattling trade like this one. The Jeff Green for Kendrick Perkins trade shook the tree, but it was necessary given that Green was out of position at the 4 spot and affecting the team’s post defense. This trade wasn’t necessary for anything on the floor. Instead, it was a financial deal the team made to avoid paying costs in the future. The biggest negative in all of this is that it happened 5 days before the first game of the regular season. There will be no preseason games to indoctrinate the new players. Only a couple practices and then on to the season. The only positive I see in this situation is that our biggest threat, the Los Angeles Lakers, are also having to work out chemistry issues, after bringing in 2 main cogs (Dwight Howard and Steve Nash) in the offseason. The Western Conference may come down to whoever vibes first. I do think this affects us this season. These guys just went from going to the Finals, then to the Olympics, then through training camp and preseason thinking they were going to defend their Western Conference title without a hitch. Then, BOOM!!! Over a quarter of the team gone, with 2 new pieces coming back. This is a team that is used to consistency. This consistency is what fostered to current Thunder culture. Consistency leads to comfort. Comfort leads to confidence. If you were part of the culture, you were part of the brotherhood. Now a shred of that is gone. I do think it will take the team a while to adjust from this one. Has their championship window closed? 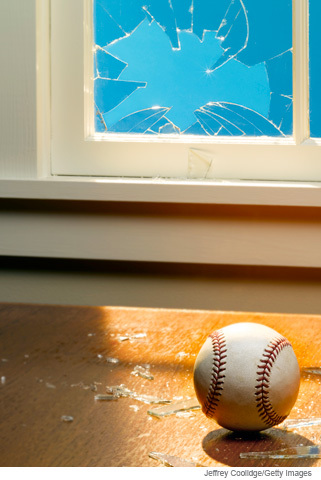 No, it hasn’t closed, but somebody definitely threw a baseball through it. 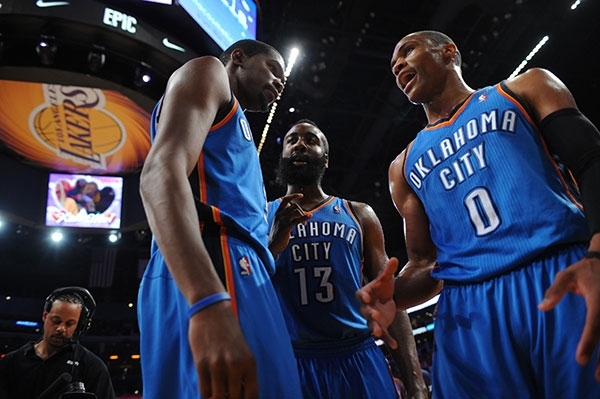 The Thunder may come out stronger in the end, but I think it will be a case of one step backwards, two steps forward. I will miss the Beard. Harden became a part of the fan culture. When you mentioned the characters on the team, you always had to mention Harden and his Beard. If the Thunder had a Teenage Mutant Ninja Turtles-like quartet, Harden was definitely Michaelangelo (the party dude!). I wish him nothing but the best in Houston. But if we are being honest, Harden was but a great role player. He scored when called upon, drove and drew fouls when needed, and made plays at will. But I never considered him to have the “it” to be The Man. Westbrook has that dogged “it” to be The Man. 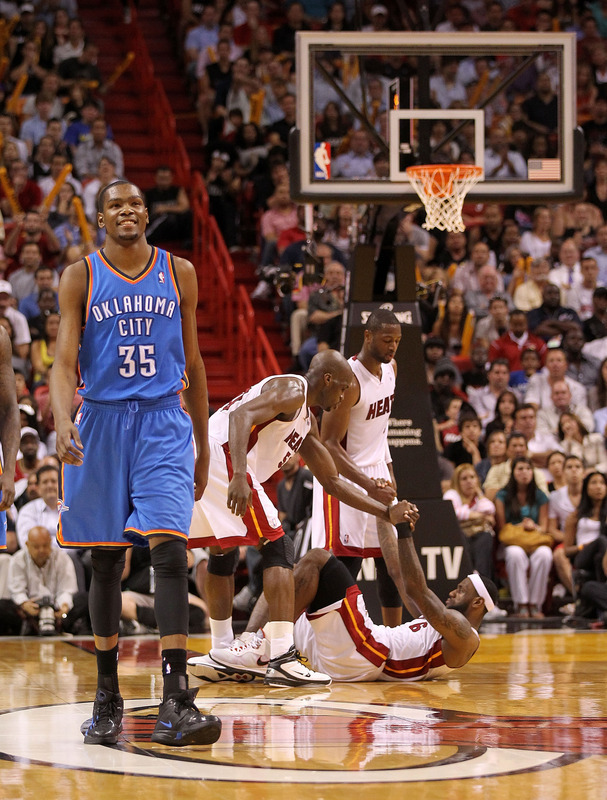 Durant is The Man. But Harden just seemed happy doing what needed to be done. So if Harden wants to see how his life will be post-Thunder, he need look no further than the man he was traded for. I’m a child of the late 80’s / early 90’s. It was during that time that I was in elementary school learning, as most of the world was, about computers. And, of course, the best way to learn is to interactively play games that also teach you about the subject matter. 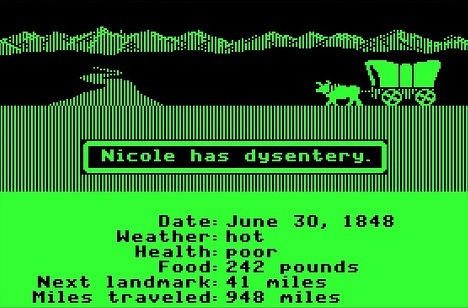 My favorite games to play on those old floppy-disc induced Apple computers was Oregon Trail. If you, either, don’t remember, or were too young to know what a floppy disc was, it was a story-based game of a journey through the Oregon Trail. You are the wagon leader of a party of settlers going from Independence, Missouri to Oregon’s Willamette Valley over the Oregon Trail in an oxen-drawn wagon. Along the trail, you have to make decisions concerning food and directions to survive the trail. You and your fellow settlers can die from a range of maladies from drowning to snake bites to dysentery. Needless to say, it is a game about the difficulties of being on the road. Many teams in this young strike shortened season are probably looking at their road records and wondering whether the entire team is suffering from a bout of cholera. Of the 30 teams in the NBA, only 6 have a winning record on the road. While most teams struggle on the road in any given season, shortened or not, the upper echelon teams usually buck that trend and win wherever they play. Such has not been the case this season. The Southwest-leading San Antonio Spurs have an 8-4 record overall, but are an awful 0-4 on the road. The Pacific-leading Los Angeles Lakers are also 8-4 overall, but carry a 1-3 road record. The veteran Boston Celtics, a team that is supposed to know how to play on the road, is 1-3 in its games away from Massachusetts. Winning on the road usually involves a balanced combination of veteran leadership, youthful legs, good defense, and good bench play. It should come as no surprise that the 6 teams with winning road records have some semblance of each of those 4 characteristics needed to be a good road team.Oklahoma City (5-1), Chicago (7-2), Miami(5-2), Orlando(4-2), and Indianapolis and Atlanta(both at 4-3) are all defensive minded teams with a nice mix of vets and youth, and good to great benches. 5 of the 6 winning road teams are in the top 10 for point differential. 4 of the 6 winning road teams are in the top 10 for opponent’s PPG. 5 of the 6 winning road teams are in the top 10 for opponent’s FG%. Oklahoma City and Chicago have 2 of the best benches in the league. While it is still early in the season, trends like these don’t tend to change too much throughout the course of the season. We are already at least 1/6th of the way through the season (unless you are the Los Angeles Clippers). At this point, most teams are Denny Green (“They are who we thought they were!”). In the playoffs, you have to know how to win on the road. So take a good look at the 6 teams with winning road records. More than likely 2 of those teams will end up playing in the Finals.